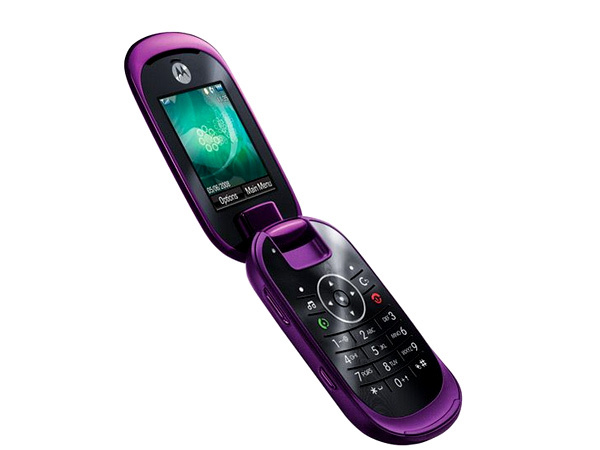 Motorola U9 a handset designed for ladies with its colour and appearance , makes a trendy statement with its style and design. For more on the phone and detailed specifications check out our review. 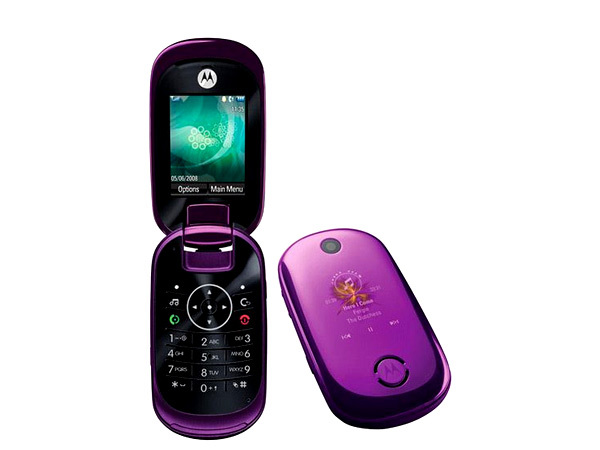 A clamshell phone with round edges and smooth corners is available with pink and purple colours. 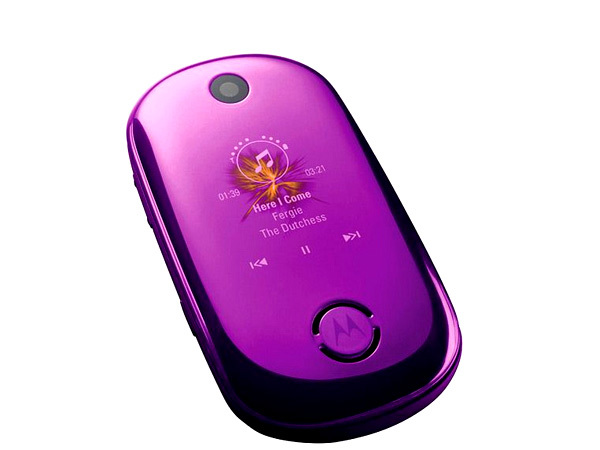 The phone appeals to girls in their teens or Barbie like who think pink is the colour to swear by. The phone features a brilliant external screen which hides when the backlight is off. The phone weighs in at 87 g and with rounded ergonomics; it fits easily into the pocket and also does provide a nice grip. The phone has a dimension of 90mm x 49mm x 16mm. The outer shell comes along with the OLED display and its difficult to even feel its presence when not active. Furthermore the screen packs in a touch responsive element which is helpful while playing music on the phone. The touch response corresponds to play/pause forward and black. The OLED is also capable of showing SMS and Call information and the user can even reply to text messages using the volume rocker and a select key. The internal display is of 2 inches with 320x240 pixels with its ability to display 262 thousand colours. The display stands to be bright and sharp. The phone comes along with a retro flat key pad which does not sport any new distinct feature apart from a dedicated key for launching music library. 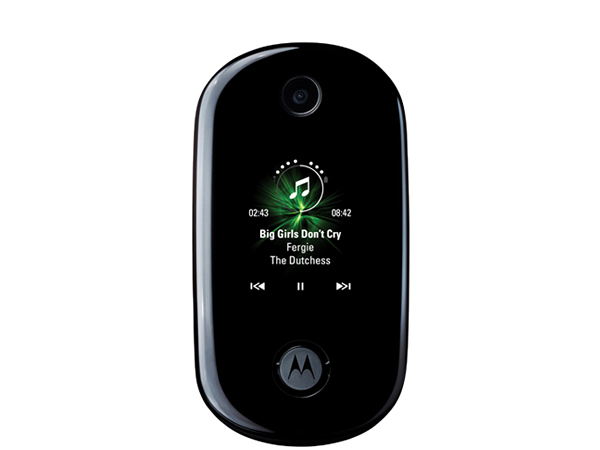 Music player on the phone supports MP3, WMA, AAC and AAC+. The phone supports expandable memory up to 4GB with microSD. The card slot is located under the battery making it a little annoying for some users. The phone does not support a 3.5 mm jack and comes along with Motorola's proprietary connector . The camera on the phone can shoot at a range of 2 Megapixel. The zoom feature can be accessed by the volume rocker button on the side. One can also use the OLED as a viewfinder to take self portraits. The handset features voice dialing and also ability to read out text from emails and SMS. There is mobile email support along with calendar and a HTML web browser loaded on the phone. The U9 turns out to be a fingerprint magnet and with its glossy looks, one would have to clean it down to make it look nice and shiny again. The flat keypads could be annoying as some users might end up typing two keys at a time. Overall the phone stands out perfect for fashion conscious teenagers and those with a appeal for a little style and retro feel.